The WA273 is a pair of “Desert Island” boutique preamps, but it can also be classified as a studio and live work-horse. Classic '73-style preamps are known for being versatile tools that work with all kinds of microphones from Condenser, to Dynamic, to Ribbon. The WA273 equally shines on all types of microphones and sources including; vocals, acoustic/electric guitars, bass, drums, percussion, orchestras, keyboards, and even as a tone shaping tool to run partial or complete mixes through. 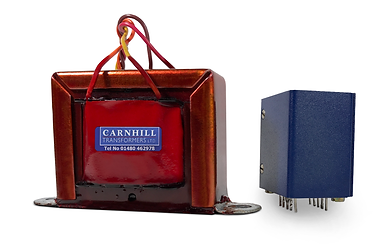 With 80dB of gain and a fully discrete Carnhill Transformer balanced signal path, there’s no recording, mixing or engineering task that the WA273 can’t handle. A great sounding '73-style circuit should be just as reliable as it is great sounding. The use of Blore-Edwards components is no small inclusion for a '73-style preamp-eq in this price range.